I love tacos but had never tried fish tacos. 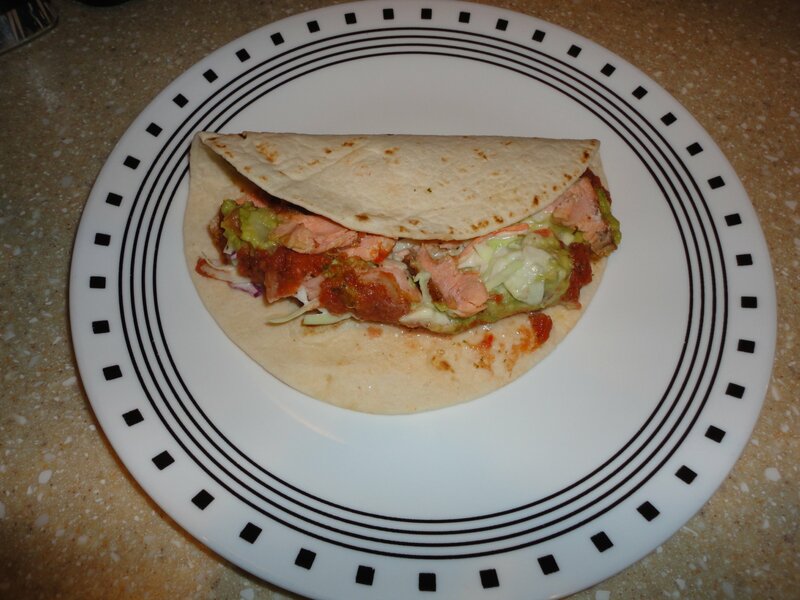 I decided to make salmon tacos because salmon is one of the healthiest fish you can eat.. After researching recipes, I decided to make up my version. It turned out as a nice mix of salty and sweet flavors, along with the fish flavor. 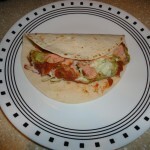 Salmon tacos make a very nice, healthy alternative to traditional beef or chicken tacos. Preheat 4 tablespoons of olive oil in a skillet on medium high heat. In a shallow bowl, combine, flour, ½ tsp cayenne pepper, black pepper, paprika and salt. Using remaining 2 tablespoons of olive oil, coat each salmon fillet with the oil. Dip all fillets into flour until thoroughly coated and place each into skillet containing hot oil. Cook each side until golden brown (turning once). Remove salmon fillets from skillet and place on plate with paper towel, allowing excess oil to drain. Cut each fillet into pieces (to make taco filling). Make cole slaw by combining cole slaw mix and cole slaw dressing. Make guacamole by coating avocados with lime juice from ½ of lime. Let stand 5 minutes. Add to avocados ½ teaspoon of cayenne pepper, onion, cilantro, and kosher salt. 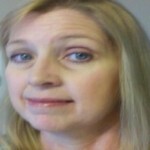 Use potato masher to mix. Fold in tomatoes. To assemble tacos, place, 1 salmon fillet (chopped) into tortilla. Top with cole slaw mixture, guacamole, and 2 Tbsp. of salsa. If desirable, squeeze lime juice on each taco. This recipe should yield 4 large tacos. I hope you enjoy these salmon tacos. There are many ways to make fish tacos. Please share how you might make fish tacos, or perhaps you can provide a different twist to this salmon tacos recipe.